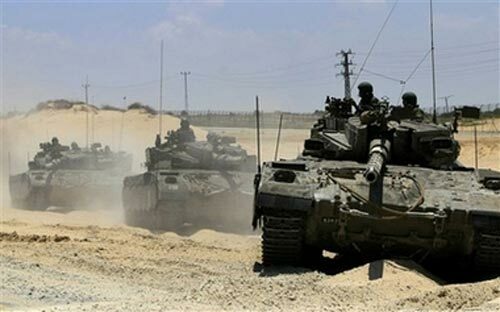 Israeli tanks opened fire on Wednesday afternoon at residents’ homes and farm lands located close to the eastern Gaza Strip boarders. Residents reported damage to their homes and groves but no injuries. Local sources said that the shelling was concentrated near the evacuated Israeli settlement of Nahal OZ. The bombardment was accompanied with fake air raids by Israeli jet fighters in the area, witnesses told local media.